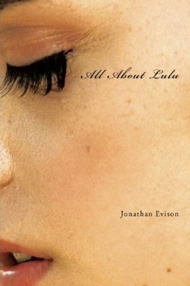 Jonathan Evison was lauded as "a major new voice in American fiction" soon after the publication of his first two novels, All about Lulu (2008) and West of Here (2011). More recognition followed. 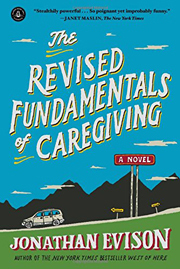 The Revised Fundamentals of Caregiving (2013), Evison's third book, won numerous awards and has been made into a movie. 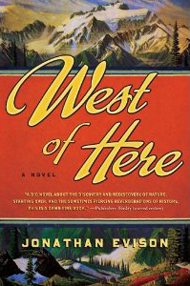 It was also chosen by KRL as its 2015 Bainbridge Island Community Read. 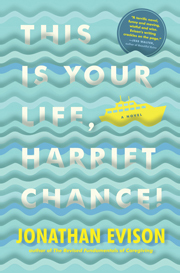 Evison's Here's your Life, Harriet Chance (2015) has been described by The New York Times Book Review as a book that "... resists every neat resolution, every unearned epiphany. …[Evison] is not afraid to depict the dark side of aging as it is, and not as we wish it were…. The result is a book that speaks to all of us, whether we’re young enough to check Facebook 50 times a day, or old enough only to have a vague idea what the Internet is. The themes Evison presents – disappointment, delusion, redemption – are universal, and he deals with them beautifully in this wonderful novel. This is your life, Harriet Chance, but it’s ours, too.” Evison recently completed his fifth novel Mike Munoz Saves the World! The Great American Landscaping Novel (2016). When not writing or giving talks, he tends to the pet rabbits in his Bainbridge Island backyard. 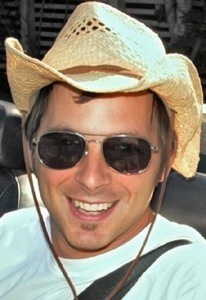 For more information please go to http://www.jonathanevison.net/ or https://en.wikipedia.org/wiki/Jonathan_Evison.